Dr. Bobbie Bailey, president of Friends of Georgia Music Festival, Inc. said, "We are excited to continue recognizing Georgia’s outstanding contributions to the music industry as we have done for 36 years.” She also stated, “This year’s event promises to be a great success." I must say, she was correct. The evening began with a VIP Red Carpet and Governor’s Reception, a seated dinner, followed by the highly-anticipated Georgy™ Awards show. Robin Meade and Monica Pearson were co-emcees. Multi Grammy® Award-winning Lady Antebellum received the Performer Award, multi-platinum Collective Soul’s Ed Roland scored the Songwriter Award, legendary blues songstress Francine Reed was given the Pioneer Award, southern rock chart-toppers Wet Willie snagged the Group Award. Multi-talented celebrity funny man Jeff Foxworthy received the Spoken Word Award and music industry game-changer Danny Beard was honored with a Non-performer Award. Posthumous inductees honored this year were: Sean Costello, Wally Fowler, Eddie Horst, Bobby Byrd and Frank Fenter. The awards telecast, which was televised live by Georgia Public Broadcasting (GPB), showcased Georgia’s broad-spectrum of talent in one magical evening. Kate Pierson (B-52s and 2000 inductee) has a bit of fun with 2014 inductee Danny Beard (DB Records). 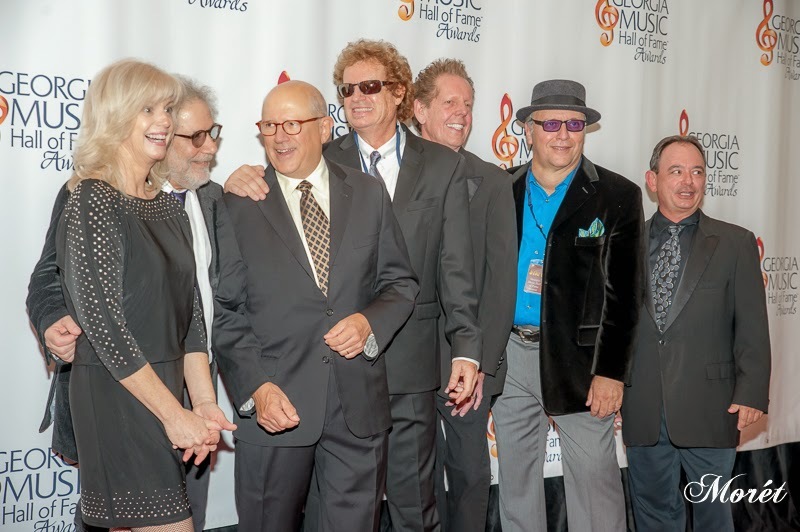 Members of Wet Willie (2014 inductees) on the red carpet. 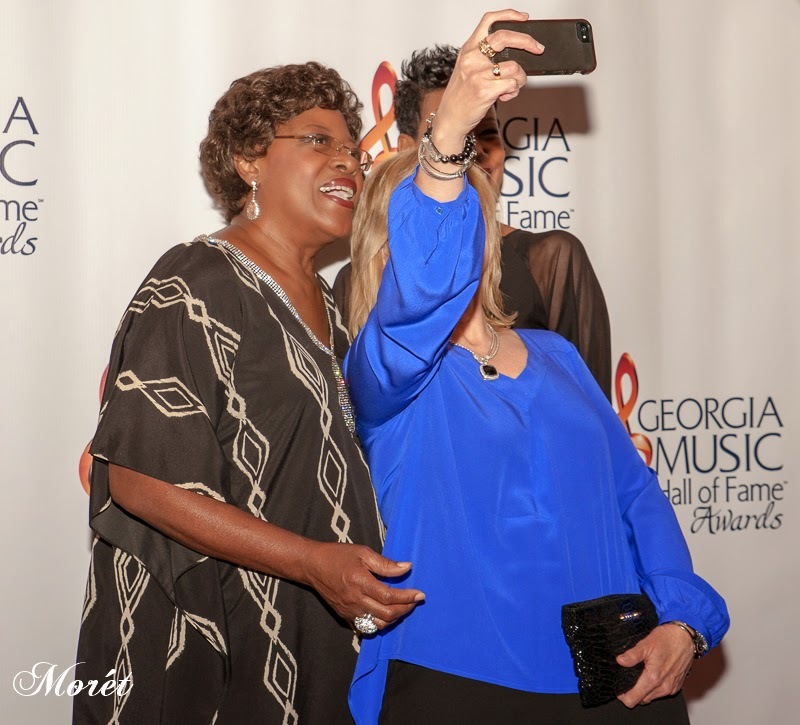 2014 inductee Francine Reed and Mama Jan Smith posing for selfies. Robin Meade answers questions for the media. Jonny Hibbert and Dottie Hibbert. 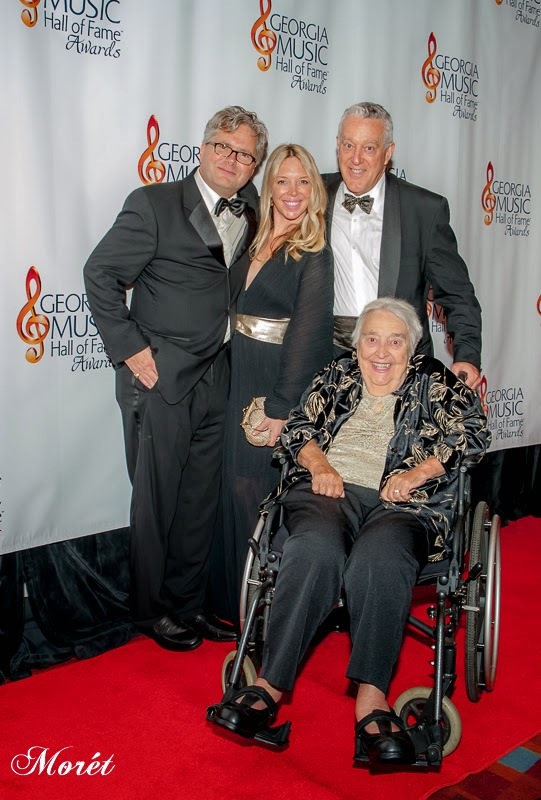 For more information about the Georgia Music Hall of Fame, visit www.georgiamusichalloffame.com.